Parents will do anything to put a smile on their child’s face. No matter how much effort they have to put in, it is worth it to see the happiness of their little ones. One dad went above and beyond to create a memory his daughter would never forget. This man lived in England with his wife, and when he learned that she was pregnant he knew he had to do something special for his future child. He created an elaborate plan that would take 7 years to complete. It took time, patience, and dedication, but in the end it was well worth the wait. He started out with a little reconstruction. 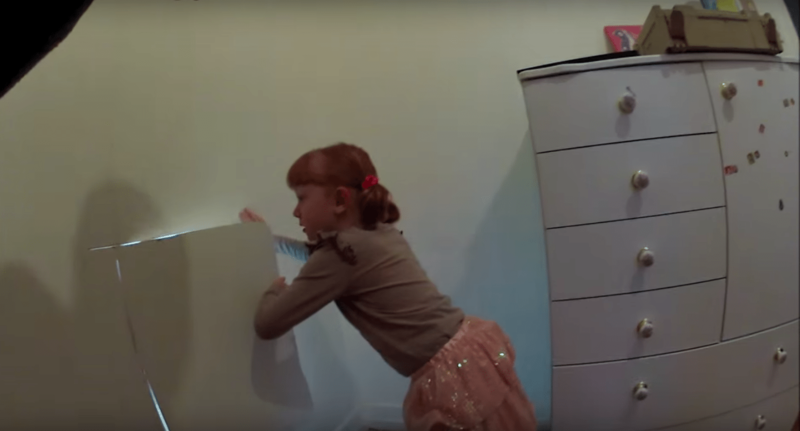 He hid away a part of his daughter’s room. He even sealed it off behind a wall so that it was completely invisible. Before sealing it, though, he put something special inside. He and his wife filled a small treasure chest with all types of knick-knacks: jewelry, coins, and other trinkets. It was a gift any little girl would love to get. But there was more to the plan. 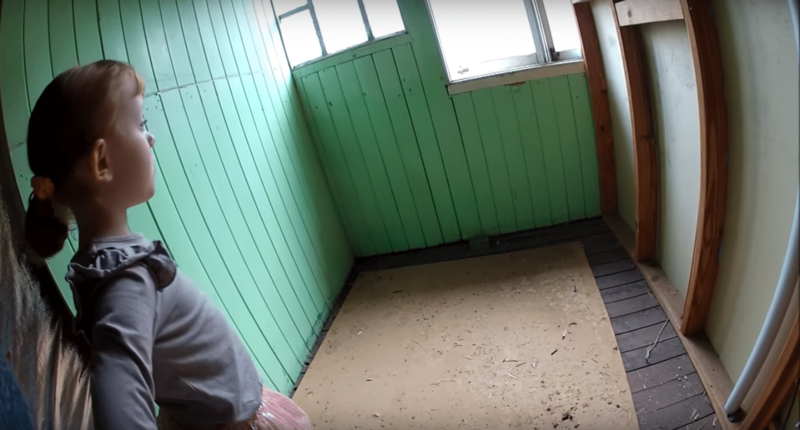 This dad wasn’t going to simply reveal the secret room to his daughter. Instead he came up with an idea that would lead to much more excitement. He created a treasure map of the house. He even wrinkled the paper and burnt it so that it would look genuine. 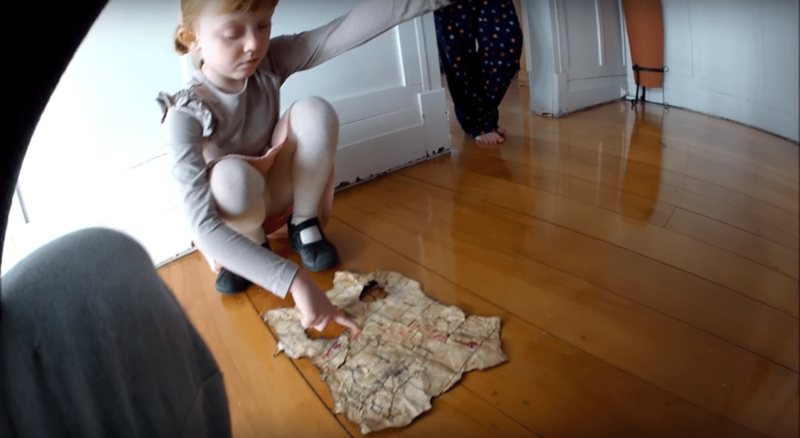 He placed the old-looking map inside a chest, then buried it under countless other objects. Now it was time to wait. The man must have been so excited when his daughter was born, knowing that one day he would give her the surprise of a lifetime. He waited all the way until her 6th birthday for the big reveal. It must have taken an extreme amount of patience to watch her grow up for all those years without ever revealing his secret. Finally, it was time for the surprise. When the man’s daughter was 6 years old, he sent her on the adventure of a lifetime. The girl was told that she needed to clean out an old chest. 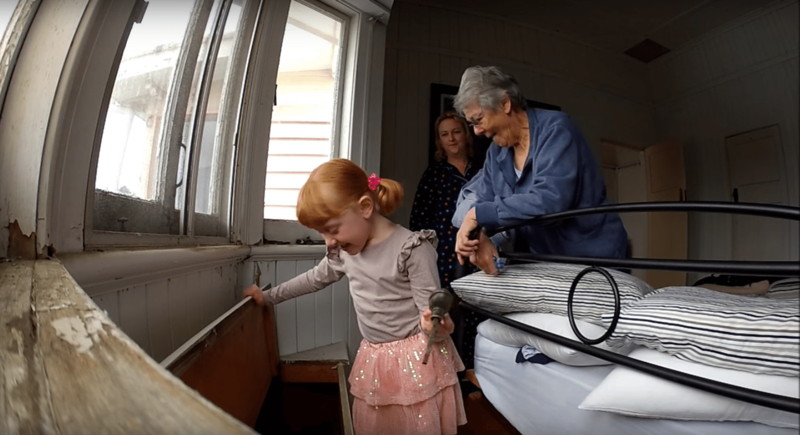 She was too focused to notice that her dad was recording, or that her mother and grandmother were watching excitedly. She pulled out object after object, thinking the whole thing was rather mundane. Then it happened. She found the wrinkled old treasure map laying at the bottom of the chest. Her eyes filled with excitement as she realized what it was. Then she came to an even greater realization: the map was of her own house! The girl was totally thrilled. She asked her dad to help her navigate the map. He pretended to have never seen it before, and together the two followed the trail into the girl’s bedroom. It said there was a space hidden behind one of her walls, but the girl saw no entryway. 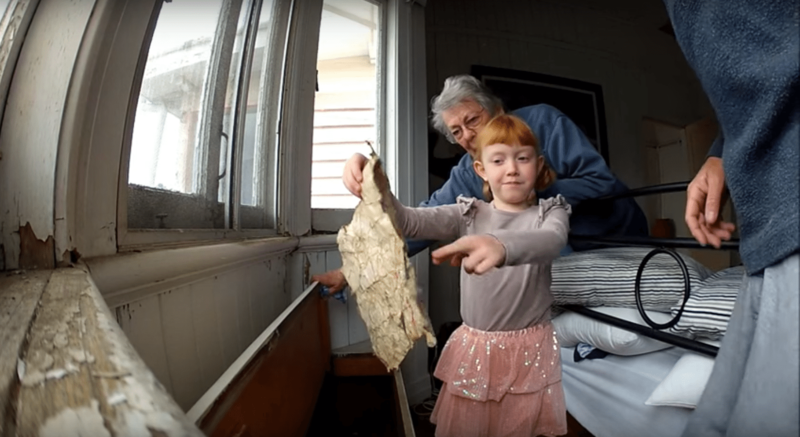 Her dad grabbed a chainsaw and carved out a piece of the wall. He created a space just big enough for her to crawl through. The little girl was astonished to find that there was an entire room hidden away. Then she saw it: her treasure chest. She rushed to bring her findings out to her parents. She excitedly showed each trinket to her mother and grandmother. 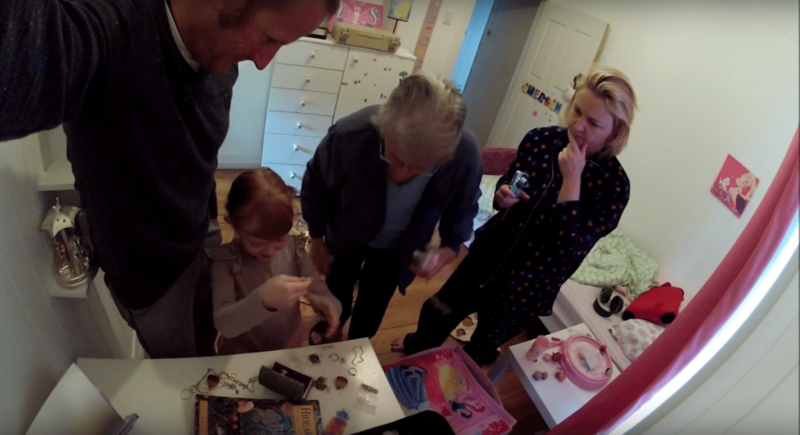 They hadn’t seen these objects in years, and they were so happy to share in her discovery. The little girl was so stoked that her dad didn’t have the heart to tell her that it was all his idea. He let her live on with the belief that she had discovered real-life treasure. This man’s idea was incredible, but his daughter’s reaction was even better. 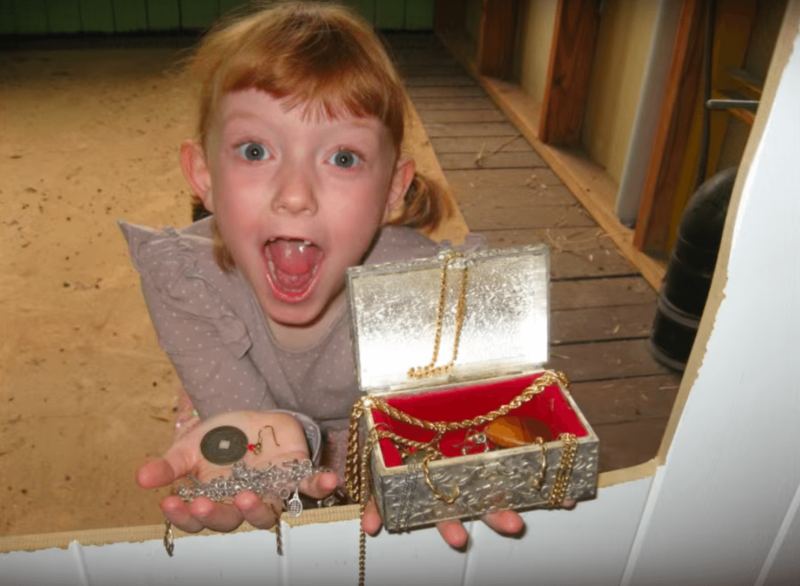 She giggled uncontrollably when she learned that the treasure was hidden in her room. 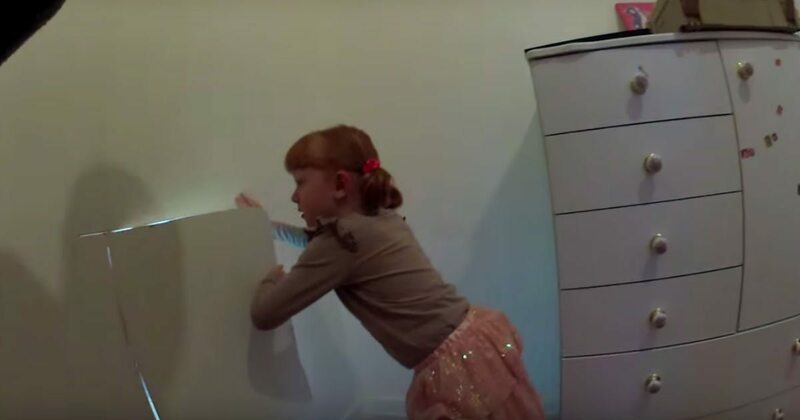 The whole time her dad carved through the wall, the young girl guessed about what might be in there. Of course, she never could have imagined what she would actually discover. At first when she entered the secret room, she was disappointed not to find a giant pile of money. Then her dad pointed to a small chest sitting on the floor on the far side of the room. At his prompting, she went to have a look. She squealed with excitement as she opened it up. She carefully combed through each discovered item, laughing and shouting to show how happy she was. This was truly a moment the young girl would never forget. Parents go to great lengths to keep their children happy, and this dad’s creative idea is one of the best ever. He has certainly made a name for himself as one of the world’s best dads. Source: Did You Know ?